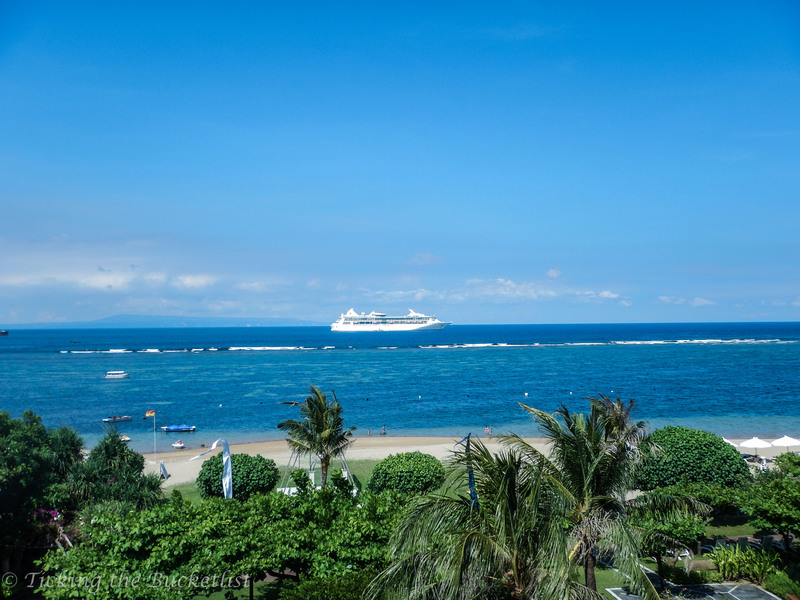 The Grand Mirage is located in Nusa Dua, home to plenty of resorts in Bali. The area is perfect for a family get away. Its the perfect place for one to unwind with the waves tickling one’s feet. For the times when you want to explore eating options other than those in the resort, there are a few restaurants within 10 minutes walking distance. We had a splendid Balinese meal at a local restaurant near our resort that dropped us back to the resort in a car when it started pouring. Craving for a Kitkat? Walk across to the 24 hours super mart and pick one up! We always prefer the a hotel that has a convenience store around… it makes life so much more convenient. 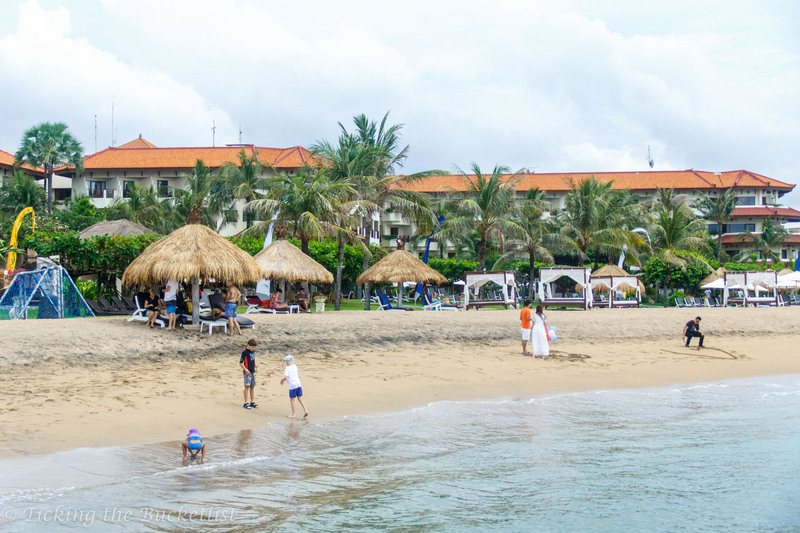 While the Grand Mirage is in the ‘touristy area’ of Nusa Dua, not once did we find ourselves in a crowded place. 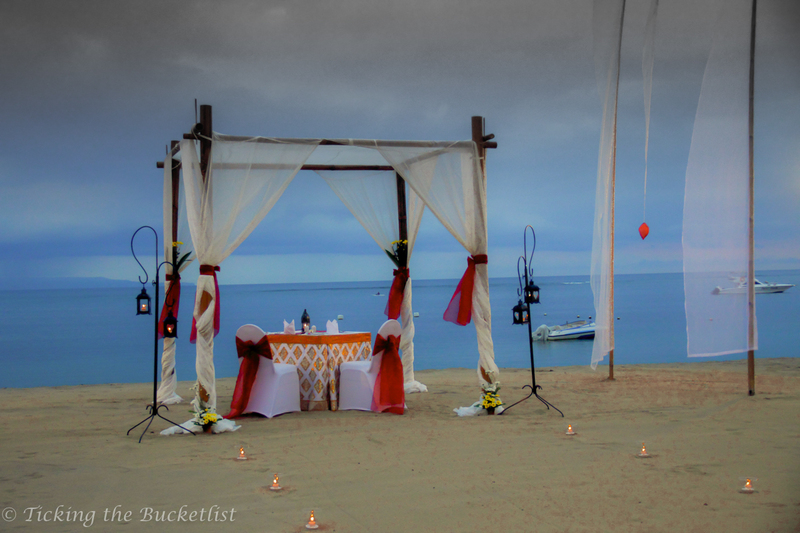 We had all the space that we wanted, plenty of cabanas that flaunted flowing white drapes. The private beach gave us all the space that we wanted to enjoy the sun and the surf. Now, don’t expect powdery Maldivian sand – it isn’t that! But it is still great to make castles and scribble ‘BALI’ …and watch it get washed by the gentle waves. I also loved the manicured green lawns that led to the beach. I walked bare foot on the ‘grass cushion’ …and then on the sandy beach, appreciating the textures that Nature has created. 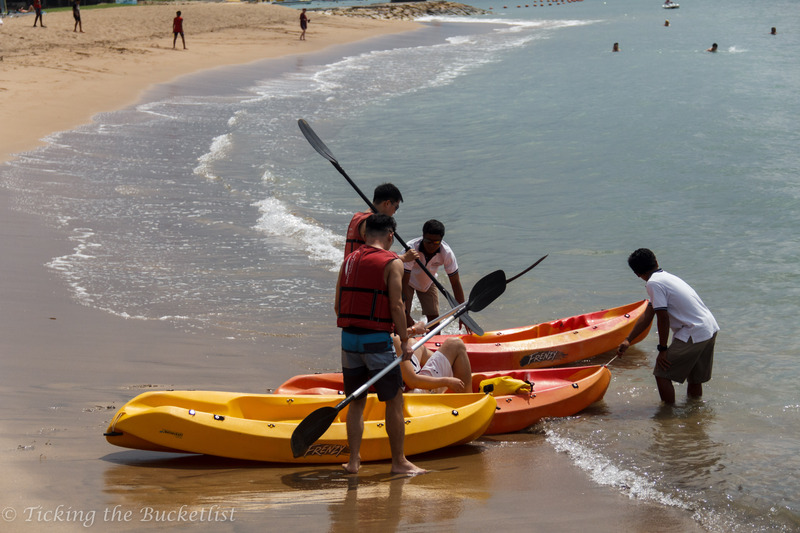 Kayaking, jet ski, para sailing ….it all happens here! I enjoy kayaking more than any other activity. It gives me the psychological satisfaction that I am burning calories and can indulge in a dessert without feeling guilty! For those of you who aren’t SCUBA divers and yet want to see what the underwater world is like, the under sea walk is a great idea. Its like walking with your head in a bubble. Trust me, you will colours that you haven’t seen on the surface of the earth – the under water world is beautiful. The resort takes the additional effort to ensure that guests do not get bored and get a local Balinese flavour as well. The activities cater to variety of interests and include water aerobics, fruit carving, Balinese jute weaving and Balinese costume dressing, along with make up. I really wanted a picture in the traditional costume, but missed it as we were busy exploring Ubud. Remember to check the activity schedule for the week to help you plan your stay better. No vacation is complete without singing and dancing. The Grand Mirage sure does make one sway to the music. There is a live band at the bar to add the zing to your sangria. There are dance performances held at the Rama Stage during the evening along with dinner. Book yourself a table in advance to enjoy the show and tap your feet. Isn’t that what weekends are for? Your little one wants to watch Doremon and you want to play pool? 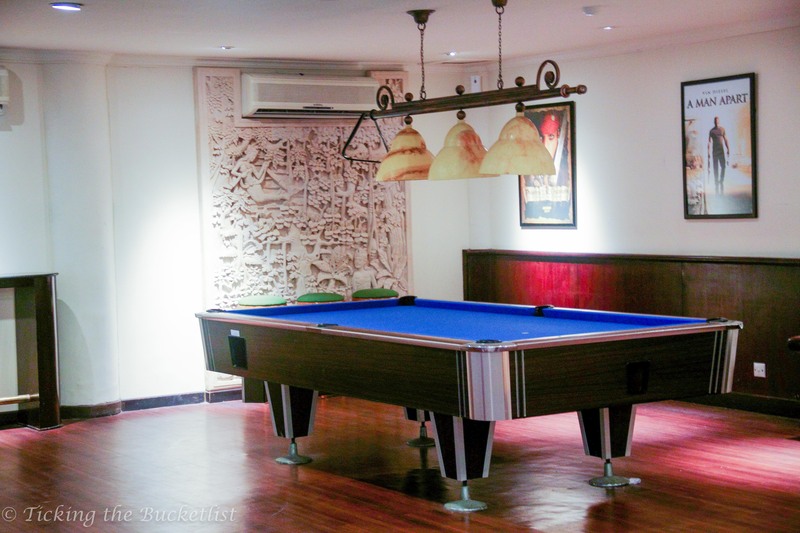 Head to the recreation lounge and settle him down in front of the TV as you pick up a cue stick to enjoy the game. In the mood for something that wakes up the neurons… how about a game of chess? Where is my cue stick? 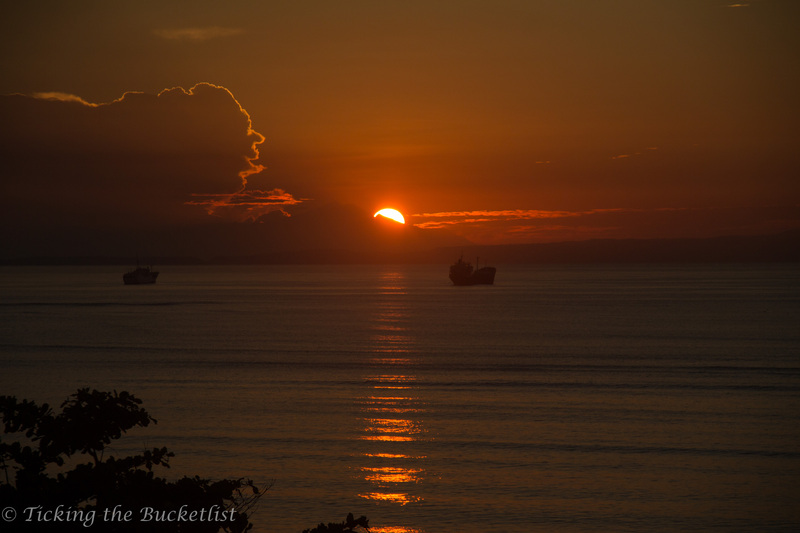 If you have read our blog in the past, you would know that I am a sucker for sunsets. Well, the Grand Mirage faces the East and watching the sun go down with a glass of wine in my hand wasn’t an option. Yes, we could have gone to a bar outside the resort on the Western shore, but Ankur and I were too lazy to do that. But my obsession with the orange and red sky is too strong to be overcome by my lazy body’s inertia. I got up the next in the morning to watch a colourful sunrise. I could hear the birds chirp and watch the healthy vacationers twist and turn during their yoga class (in the lawns). I sipped my coffee and admired the coloured sky… lovely start to the day! Yes…sunrise can be as colourful! Bar, pool bar, alfresco dining, grill – the resort has it all. 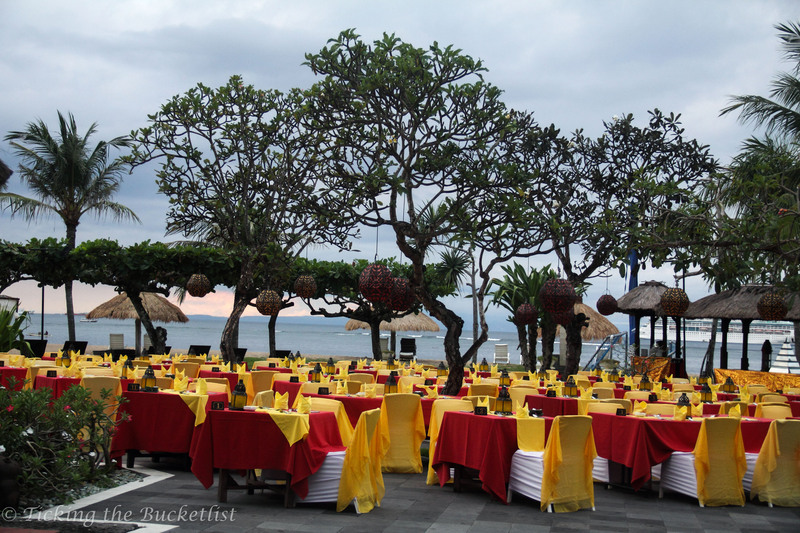 They offer a host of cuisines – Italian, Chinese and local Balinese. The chef has recently created an Indian menu as well, with a fair number of vegetarian options. 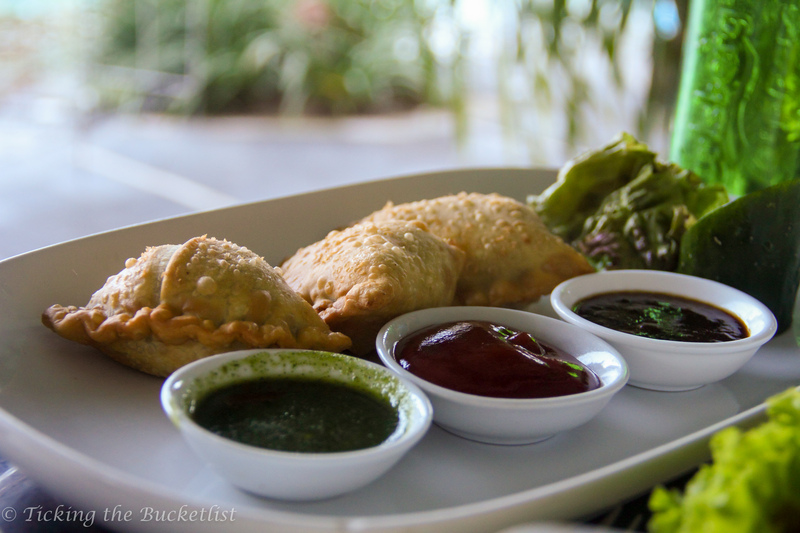 Ankur tried the chick peas curry and his favourite snack – samosa. I tried a spinach based gravy. The flat bread (paratha) was amongst the best that we have ever had, including those that we have had in India! For the Indian food connoisseurs, the Indian menu isn’t as spicy as you would expect it be. The spices are toned down to suit the Western palette. A comfortable bed and a bath tub… its time to relax and soak the jet lagged muscles into a tub full of warm water. The little balcony that overlooked the pool, lawns and the sea had a postcard like view. 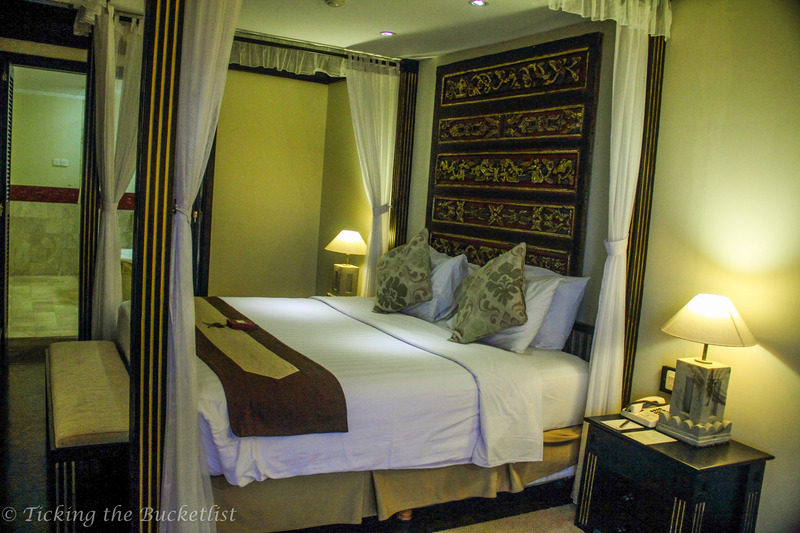 The family rooms/suites are large enough to cater to a family of four. While the rooms are shiny and sparkling, one can figure out that the resort has been hosting guests for quite a few years – the elevators look a little tired and the tiles in the corridors have gone through some wear & tear and replacement. The Thalasso Spa at the Grand Mirage is a place that any spa loving soul should visit. The couple rooms are really fancy … we got our treatment done at the Cinnamon Room that had cinnamon sticks hanging from the room. I loved the place even before the treatment started. We could choose the oil that we wanted to get slathered in. Considering that my sense of smell is as active as that of my cocker spaniel, this privilege was a delight. 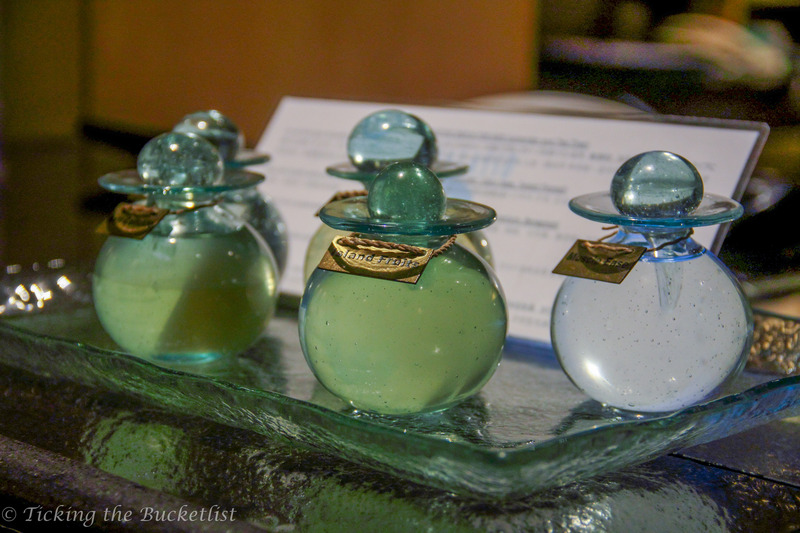 The fragrance of the aromatic oils took me to a new found level relaxation as the therapist eased my strained muscles. For the luxury spa seekers, put the Thalasso Spa on your list… you won’t regret it! The Grand Mirage is a resort that keeps everyone in the family engaged. The ladies are pampered at the spa, the gentlemen are ‘happy’ at the pool-bar and the kids are excited building sand castles. There is all this and more, without burning a hole in your pocket – it’s a great value of money place, apt for some family fun! The Grand Mirage offers luxury all inclusive as well as limited privileges during your stay starting at ~USD 265 per night. We were guests of the Grand Mirage and the Thalasso Spa during our visit. As always, all ramblings are the offsprings of our mind and personal experiences!